Upside Down Apple Cake with caramel sauce and apple wedges in a flour cornmeal batter. Last year my father got it in his head to make an apple upside down cake. Every fall our trees are loaded with apples and dad is always looking for excuses to bake with them. Well, he tried three different recipes, and each one turned out with the same problem—they appeared to be cooked, had cooked the proper amount of time as called for by the recipe, the tester came out clean, but when he went to cut into the cake, the inside was gooey. I don’t know what possessed him to try his hand at it again. Perhaps the intervening year softened the pain of the memory of three failed cakes? Or perhaps he is just easily seduced by cake recipes, and the combination of this recipe he found in an old issue of Bon Appetit and apples on sale at Whole Foods for 99 cents a pound was just too tempting to ignore. Or perhaps it had finally dawned on him (us) that the Granny Smiths we had been using to attempt similar cakes gave off too much liquid to work properly in the recipes. In any case, his perseverance has paid off with this cake. It’s terrific! We can’t wait to make it again. 1 Preheat the oven and prep the cake pan: Preheat your oven to 350°F. Butter the sides of the cake pan. Line the pan with a 10-inch round of parchment paper. The paper will come up 1/2-inch up the sides of the pan. Butter the parchment paper. 2 Make the caramel sauce base: Melt 2 Tbsp butter in a non-stick skillet on medium heat. Add 1/2 cup sugar and cook until sugar dissolves and mixture turns golden brown, stirring occasionally (use a wooden spoon), about 6 minutes. 3 Add the apple wedges and cook in the caramel sauce: Add apple wedges to the pan and gently stir to distribute the caramel evenly across the apples. Cover the pan and cook until apples release their juices, about 5 minutes. Uncover and cook until apples are tender and caramel thickens and coats the apples, stirring occasionally, about 13 minutes more. 4 Remove apples and caramel sauce and spread evenly in the prepared cake pan. 5 Make the batter: Whisk together the flour, salt, and baking powder in a small bowl and set aside. Place cornmeal in a large mixing bowl. Pour 1/2 cup boiling water over the cornmeal and stir to blend. Add 3/4 cup sugar and 6 Tbsps (3/4 stick) butter to the cornmeal mixture. Beat until well blended. Beat in vanilla and eggs. Beat in the flour, salt, baking powder mixture alternating with the milk. Pour the batter over the apples in the cake pan. 6 Bake: Bake at 350°F until top is golden and a tester inserted into the center comes out clean, about 40 minutes. Cool cake in the pan for 5 minutes. Then run a knife around the edges of the cake to loosen it from the sides of the pan. 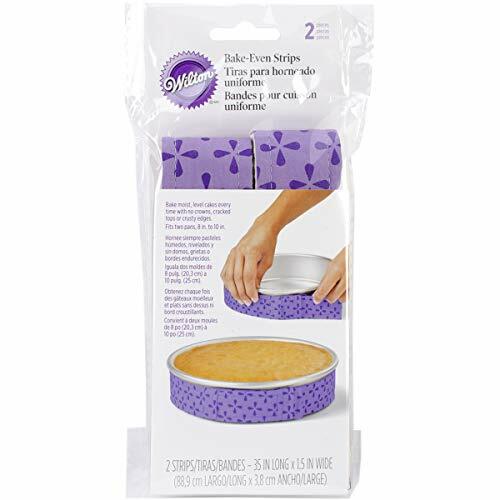 Carefully invert the cake onto a serving plate or dish, and remove the parchment paper. Cool for 15 minutes. Hello! All photos and content are copyright protected. Please do not use our photos without prior written permission. If you wish to republish this recipe, please rewrite the recipe in your own unique words and link back to Apple Upside Down Cake on Simply Recipes. Thank you! Recipe from Bon Appetit, February 2003. Ugh. I just made hard caramel on accident again. I am looking forward to an updated recipe… I can’t figure out how to get the apples in the sauce without it seizing up! Made this yesterday and loved it — it’s gone already! Just recommended it to Alicia Paulson over on Posie Gets Cozy. I will definitely return to this recipe over and over this year. I like it much more than my usual tarte tatin. Good job, dad! I made this cake and it was delicious! I used canola oil in place of the butter and it came out really moist and delicious. I kept the butter in the caramel portion. Great looking and, more importantly, great tasting cake! I used skim milk, but the cake was still delicious – nice and moist. I followed the rest of the recipe exactly, and it came out beautifully. Thanks for the recipe! I made this yesterday to bring to a brunch and was quite sad to only get one piece. I love this recipe and will absolutely use again and again, with other fruits as they come into season. I made it exactly as the recipe directed with two small additions, one of a pinch of salt to the caramel, and another of a pinch of crushed lavender that I added to the flour mixture. The cake was moist, dense and had a great texture from the cornmeal. The cake was devoured and someone even scraped the crumbs off of the serving plate, which I had secretly hoped to do myself. I made this cake today and it turned out wonderfully!! I used fuji (sp?) apples and it was AMAZING. Great alternative to the pineapple upside down cake. Thank you Pioneer Woman for the suggestion!!! For anybody having a caramel issue try this. Use 1/3 cup clarified butter, & 1 cup of brown sugar. Once it starts coming together either add your apples, or if desired to keep a little saucier, add a bit of 35% cream. I’ve been using this for upside down cakes & caramel sauce for a year with 100% sucess. For granny smiths, i’ve sauteed them in a pan with some clarified butter until they get a bit of color on both sides, add brown sugar until it’s a caramel consistancy, a little cream at the end to sauce it up, & use that for a base for the upside down cake. A sour cream coffee cake recipe works best. The cake looks wonderful and I’m sure it is… but I know if I make it I will eat it and I am trying to drop some weight. I just wanted to pass along a tip I learned along the way that ‘cured’ the problem of my having gooey cake beneath the apples in my apple coffee cake, etc. I often throw together an upside down apple coffee cake using Hodson Mill’s whole wheat baking mix called “InstaBake”. I use whatever type apples I have, but I always had the problem with the cake being ‘gooey’ or ‘raw’ in the center area beneath the apples, no matter what type I used. One day in frustration– after I sliced into one and it was still raw, I just stuck the coffee cake into the microwave (on its serving plate) and microwaved it–uncovered– on high for 1 minute. I let it cool, and was delighted to see that it was now perfectly ‘cooked’. From that time on, as soon as I invert my apple coffee cakes onto their serving plate, I immediately microwave the freshly baked cake for one minute on high. I’ve never had it to fail–so perhaps it will work for yours, too, on those occasions you want to throw out the cake! I made this as mini cakes. They turned out beautiful. My only complaint is that it was hard to figure out what to put them in. I couldn’t cook them in paper liners, since I wouldn’t be able to get them upside down. I ended up flattening out the muffin liners and placing them on that. Worked good enough. I have been trying to make apple upside cake for a couple of years, only to have the results be overcooked on the outside, raw and gooey in the inside (because of the raw apples giving juices during the baking process) that I had almost given up on this type of cake completely. However, after trying this recipe and seeing the amazing results: light, crisp and buttery cake, caramelized apple topping, and most importantly of all, no half-baked batter, I am over the moon. Thank you for providing this WONDERFUL recipe. Yes this is a great cake. It came out super in my heavy based, non-stick wok, looked like a big dome of apples. I also tried it using blueberries and peaches instead of the apples both were really good. What a great idea! Can you post a photo? The picture convinced me to try the recipe and it came out perfect. I used 2% milk and added about a tsp more butter to the batter to compensate. Some of the caramel hardened up into a big lump when I put the apples in but it dissolved again shortly afterward (for people having trouble raise the heat and try using a stainless steel pan with an aluminum base). Thanks for the recipe. I just found this recipe and wanted to try it with some Jonagolds my parents picked. My question is if I need parchment paper or if there is a substitute? I’m 39 weeks pregnant and trying to minimize trips to the grocery store, especially for something I won’t use regularly. Thanks! Hello! I have tried several of your recipes, all have been successful. I just finished making this upside down apple cake. It looks delicious. I tried to arrange the apple slices in kind of a ring pattern. I can’t wait until my family comes home to try it. Thanks again! I made this cake using skim milk and it turned out fine. I used golden delicious apples. This cake turned out just like the picture, a first for me. I have been an ardent fan of your website. I have been baking now for 2 years and any recipe from your website has been a sure hit. I had heaps of apples which had to be used, begging the family to eat it before they all went rotten is tiresome. I was sure I would find something here and I did. I began keenly putting the recipe together- and then ran into trouble when I wasn’t sure if cornmeal was called corn flour in our part of the world. Did plenty of googling and used cornflour.Then when you said use boiling water to the cornmeal , I did and this got all lumpy, so then I dissolved it in less than 1/4 the quantity of water and then added the rest as boiling water. Then to make sure the whole thing was the right consistency heated the bowl for a few minutes, sounds very complicating doesn’t it,but it seemed alright .The consistency was so unlike a cake or a muffin, hesitantly I poured it into the cake tin and popped it in to bake- I just had to see for myself what I might have done wrong, so I let it bake. When done I cut the cake and Voila I had this lovely cake- my 2 and half year piped ‘Cake mama’ – gave him. The fussy eater enjoyed this . THANKYOU Elise, from the bottom of my heart for this website . I can see you have put in lots of love in creating this website. If there is any way i can help you diversify I would be more than happy to give you some recipes of mine. Thankyou once again. But back to thing of cornmeal, in europe you don’t have that in same name :) But, i was suprised after little searching for my cajuncookbooks and internet, it seems that polenta is basically the same, and i find recipes in finnish ( im from Finland) wich states to use of polenta for cornbread. Hope this helps. I just tried this recipe. The flavors are just right (not too sweet). However, I had trouble melting the sugar in the butter. After about 4-5 minutes it became hard candy! So I started again and melted the butter, sauteed the apples in it, then added the sugar at the end. This worked fine. Thanks for your recipes and beautiful photography, I enjoy your blog very much. I made this cake tonight and it is delicious and nice and light, not to mention yummy with ice-cream! I may have added a little extra butter than specified, to the caramel sauce and it melted down and browned just fine. I thought it would be too runny after I added the apples ( Ambrosias),but the sauce thickened up after 10 minutes or so of being on low heat. I then added a splash of Appleton Spiced rum and a sprinkle of cinnamon… Yum Yum! I was skeptical because the batter looked fairly runny. ( I used soy milk if that made any difference) In the end ,it cooked perfectly in 35 minutes in my convection oven. I used parchment paper in a 10 ” springform pan,and it all popped out beautifully. Thank-you for the perfect recipe! Oops: I forgot one more question. If I make this a day ahead would you recommend that I refrigerate it or can it be left covered on a cake stand?